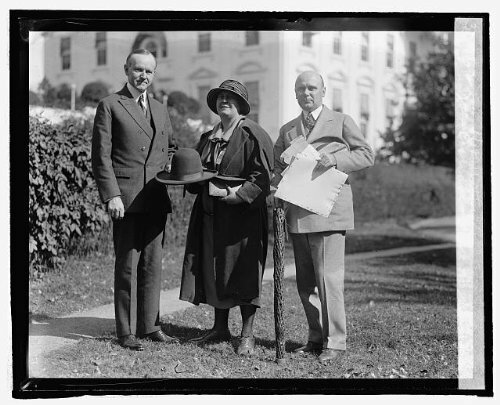 Standing beside the Secretaries of both the Prescott and Phoenix Chambers of Commerce, Grace M. Sparks and H. B. Watkins respectively, Calvin Coolidge is inducted as an honorary member of the Smoki or Hopi tribe, October 22, 1924. He had signed the Indian Citizenship Act on June 2 of that year, recognizing full citizenship of all Indians in the country. He was presented a traditional rain stick and hat, which he raises gratefully here. 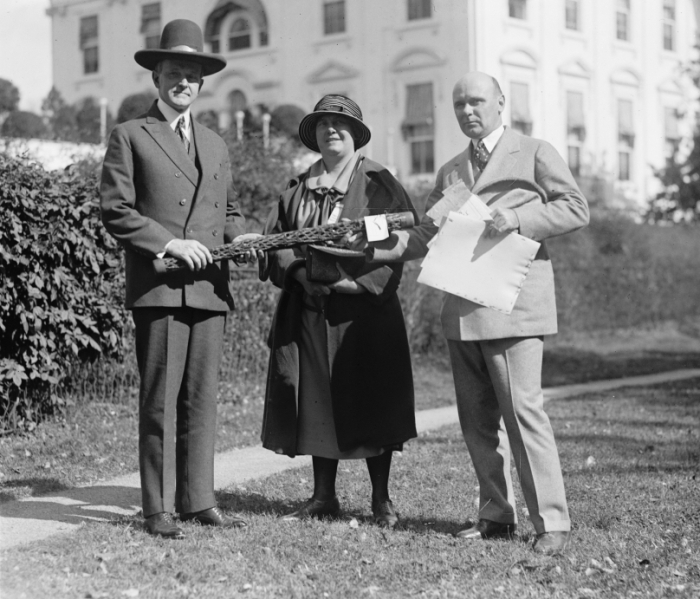 President Coolidge had accepted an honorary membership into the Smoki Tribe, which was an organization dedicated to showing White people the ways of the Southwestern Indians, including the Hopi, however the Smoki were not native people themselves. Thank you for posting the photos. Thank you for clarifying this distinction. Glad to have you as a reader!